Obituary for James E. Michael | Brooks Funeral Home and Cremation Services P.C. 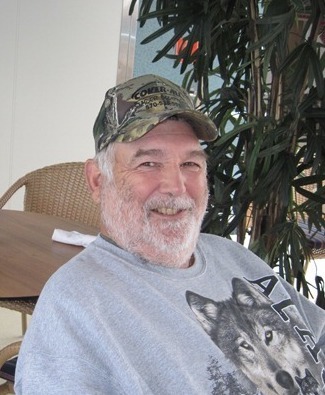 James E. Michael, 71, of Turbotville, passed away Thursday, January 31, 2019 at his home. Born March 2, 1947 in Lewisburg, he was the son of the late Monroe W. and Sara Ann (Hulsizer) Michael. On June 16, 1967 he married the former Bonnie J. Gray and they have celebrated 51 years of marriage. Jim was a 1967 graduate of Milton High School and served with the US Army during the Vietnam War where he achieved sharp-shooter status. He retired in 2010 from CMC Joist, formerly New Columbia Joist Company after 41 years of service. He was a member and served on the board of the American Legion Post #71, Milton where he was currently Vice President of the Home Association; a member of the Muffly-Huff Post#8206, VFW, Turbotville, the Moose Lodge #171, Milton, the Wheel Inn and Red Run Rod and Gun Club, Ralston. He was an active member of the former Turbotville Volunteer Fire Co. and was an Auxiliary Police with the Watsontown Police Force earlier in life. Jim enjoyed hunting at the family camp near Ralston, making sauerkraut yearly, and loved butchering. He is well known for his bologna, sausage, scrapple and smoked meats and cheeses. Surviving besides his wife, Bonnie, are a son, James E. Michael, Jr. and his wife Jennifer of Jonestown; a daughter, Jackie E. Leitzel and her husband Glenn R., Jr. of Virginia Beach, VA; four grandchildren: Bradley R. Leitzel of Athens, Jessica M. Leitzel of Virginia Beach, Kaitlyn N. and Darby M. Michael, both of Jonestown; and a brother, William M. Michael, Sr. and his wife Shirley of Watsontown. Preceding him in death besides his parents was a sister, Donna Patterson who died July 4, 2015. A Service of Remembrance to celebrate Jim’s life will be held Saturday, March 2, 2019 at 11:00 AM at Brooks Funeral Home & Cremation Svc., PC, 207 Broadway Street, Turbotville followed by a meal provided by the family at the Muffly Huff Post 8206 VFW, 4835 State Rte 54, Turbotville, PA 17772.